THE long glens west of Loch Ness are regarded as some of Scotland’s finest with their intoxicating mix of mountain, woodland and lochs. I’m just back from a few days’ walking there and although I knew there were big construction projects underway, I was still taken aback at the scale and the resulting toll on the landscape. 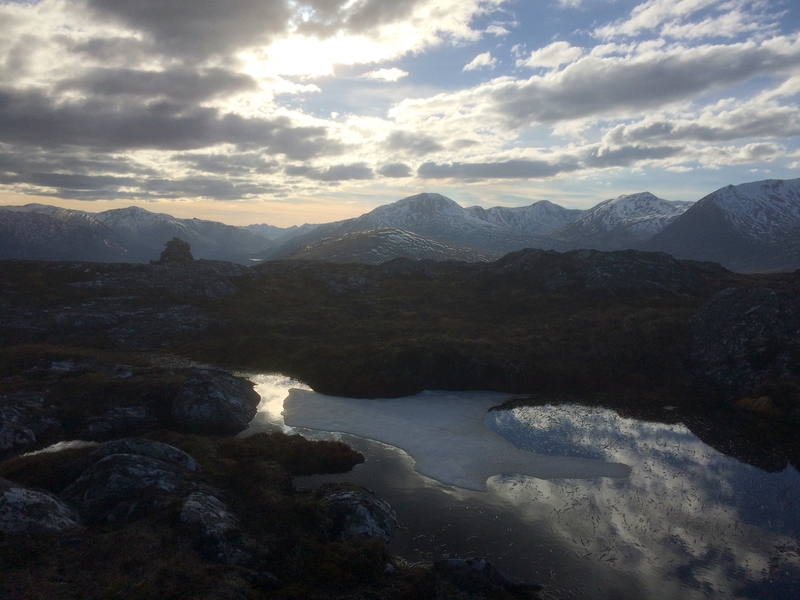 Glen Affric one day, Glen Moriston the next. At times, I felt I should have been wearing a hard hat. 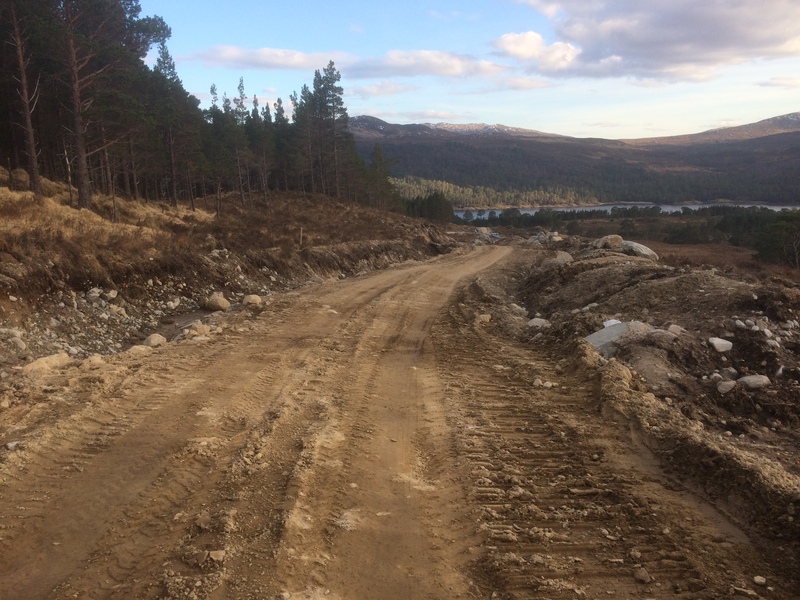 The twin run-of-river hydro schemes on the Abhainn Gleann nam Fiadh and the Allt Garbh in Glen Affric have seen the lovely single-track road running alongside Loch Beinn a’ Mheadhoin bulldozed to cope with massive earth-moving machines and heavy lorries. Piles of rubble have been shoved into ugly ditches at the sides and big sections of woodland have been flattened to carve out a working hub. I know the work is necessary if we are going to keep the lights on, but it doesn’t make it any less depressing when you witness the devastation first-hand. There are the usual promises about restoring the landscape when the work is finished but I can’t help feeling pessimistic. The land will take years, if not decades, to fully recover. Apart from a short hold-up when the road was blocked by one earth-moving monster, there was no real problem of access. Any site workers I met were polite, cheery and helpful. No one tried to block progress or had the jobsworth mentality. 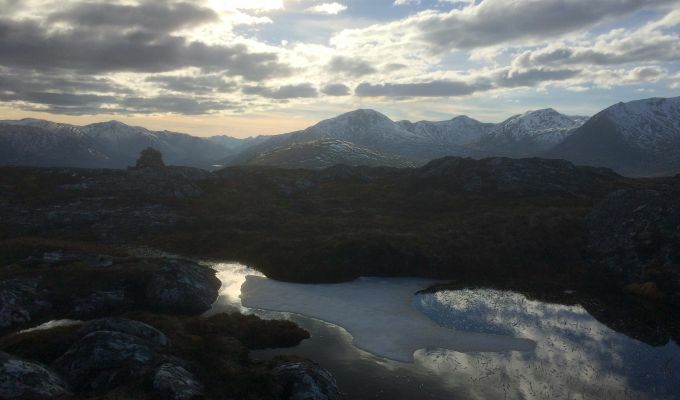 An hour later I was sitting at the summit of Beinn a’ Mheadhoin watching the sun set over the snow-capped peaks which stretched off into the horizon and all the chaos was forgotten for the moment. Next day, as I headed along the A887 from Invermoriston to my starting point for my walk, I suddenly remembered why the name Bhlaraidh had rung a few bells. Wind farm. And not just any old wind farm. This is a monster – 32 massive turbines stretched for the miles across the horizon. I set off at 7am on a rising track through woodland, the sound of woodpeckers drumming in the trees. But it wasn’t long before the landscape changed, a bulldozed track for heavy machinery wiping out the original aesthetic line in several places. With the mist clinging low, it made the navigation more challenging. A recent guidebook gives a detailed description of the route but already it is out of date. One track with an obvious split had now become two with several offshoots. It was only further up that it all became clearer, a mapping sign handily pointing the way away from the mayhem. Two hours later, and the mist still hadn’t moved so it was a compass line all the way across featureless ground to the top of Carn Mhic an Toisich and back again. The distant sound of heavy machinery at work would have guided me in safely anyway. This is a land of many lochs and therefore many dams. The route went from the dam at Loch Liath to the one at Loch na Stac, and then a gentle rise to the second hill of the day, Meall a’ Chrathaich. As I walked along the ridge from the hill’s west summit to the main one, the industrial sounds emanating a few hundred metres down to the east grew stronger. As I returned, I saw looming out of the mist what looked a concrete runway containing a large, stone pyramid. This was the base for a yet-to-be planted turbine, one that will come scarily close to the eye-level of the ridge. The mist lifted as I made my way out giving me a better view of the scale of this development. Bulldozers, diggers and tipper trucks trundled back and forth on a higher track that ran parallel with the one I was on. And then came that moment to lift the soul. The final part of the track through the woodland was alive with birdsong, drowning out the now far-off sound of progress. Nature, it seems, will always emerge triumphant.